More and more of our customers are asking if PDU Cables can build feeder cables for them, and the answer is yes. 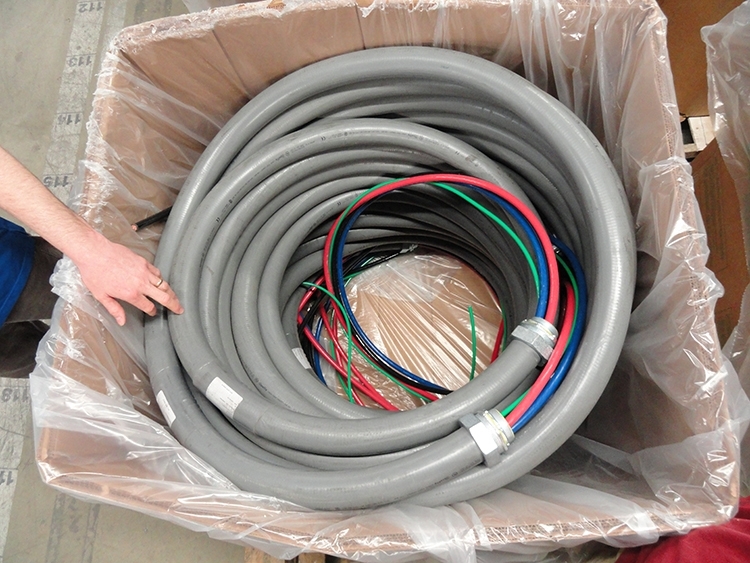 Feeder cables are used to supply power from one part of a facility to another, from point A to point B. Perfect for providing temporary power service during construction or to supply power to specialized equipment. Primary feeder cables typically run between main switchboards and power distribution transformers. Feeder cables are used to supply power from the PDU’s to the RPP’s. As data centers are utilize RPP’s to increase flexibility in design and to shorten the branch circuit distribution runs, they are creating a need for feeder cables to supply power to the RPP’s, a need that is sometimes overlooked. 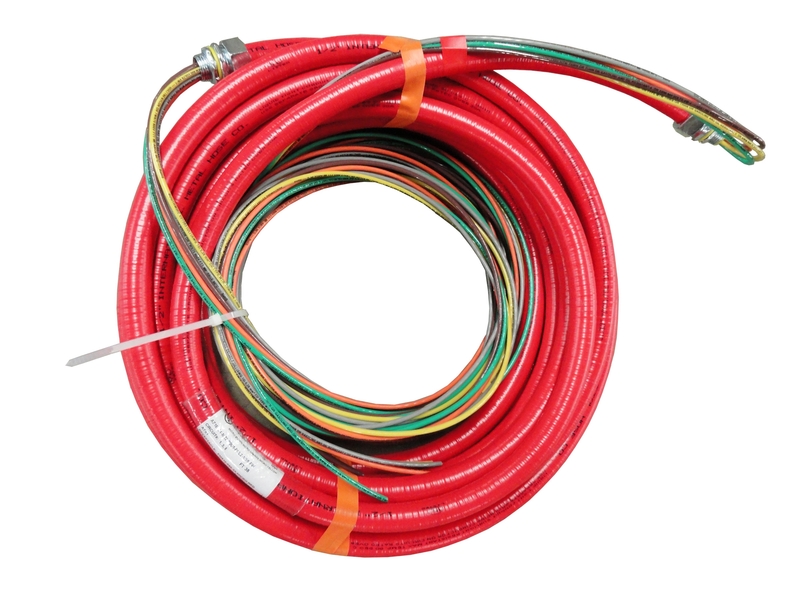 PDU Cables can build feeder cables to meet almost any application. 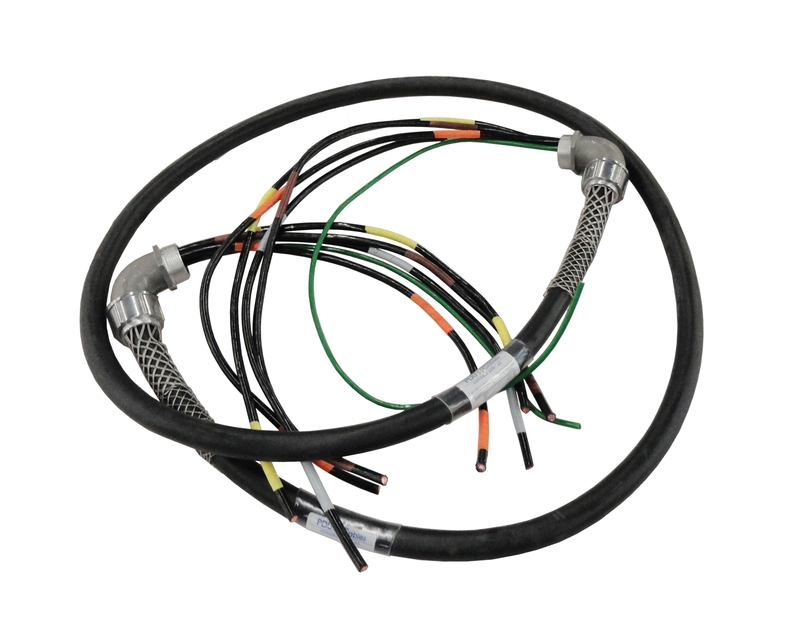 Each unique need dictates the cable type, conduit choice, number and size of conductors, the need for strain relief or support grips. Following are a few photo's of different Feeder Cable Assemblies.